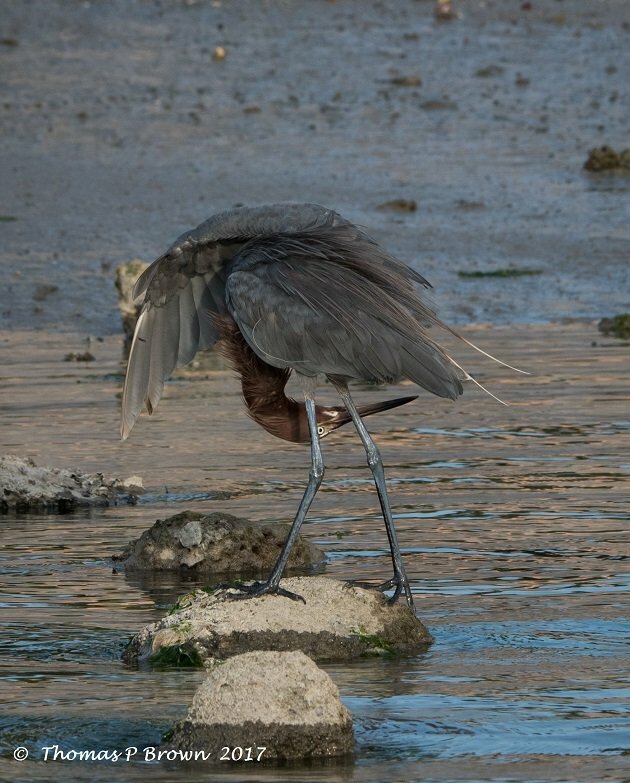 Reddish Egrets, the court jester of wading birds. 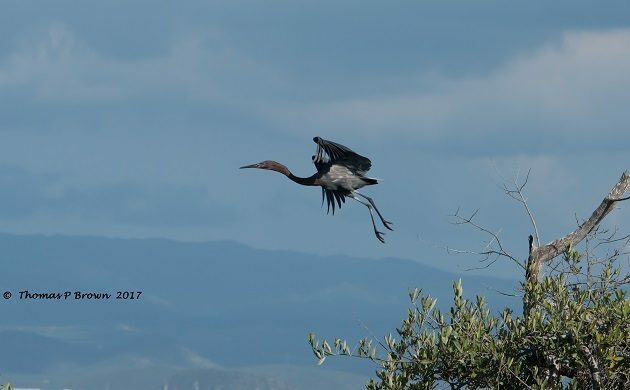 As the dog days of summer descend upon us here in Mexico, many of our avian residents have bailed out and headed back north to avoid the summertime heat. 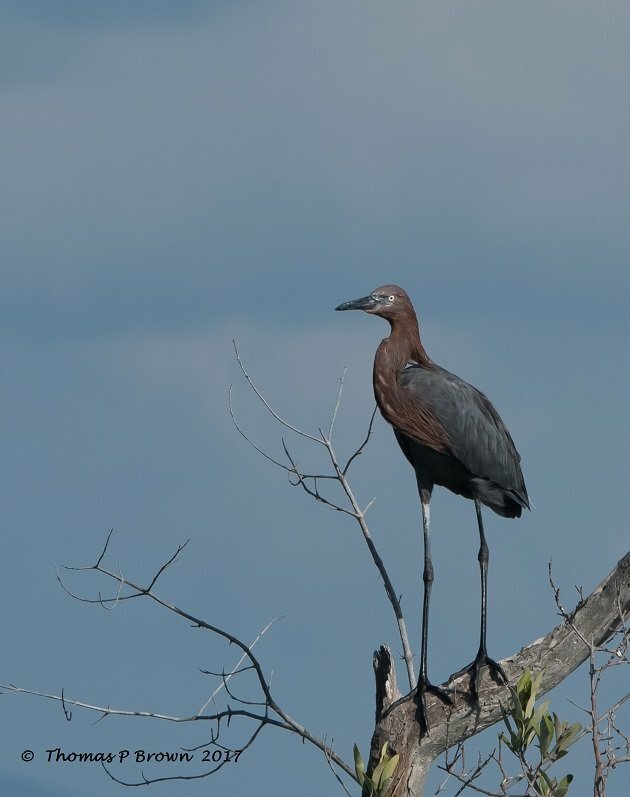 The number of bird species to be found, falls dramatically, but we can always rely on our impressive populations of Herons, egrets and even a few rails to keep our birding juices flowing. 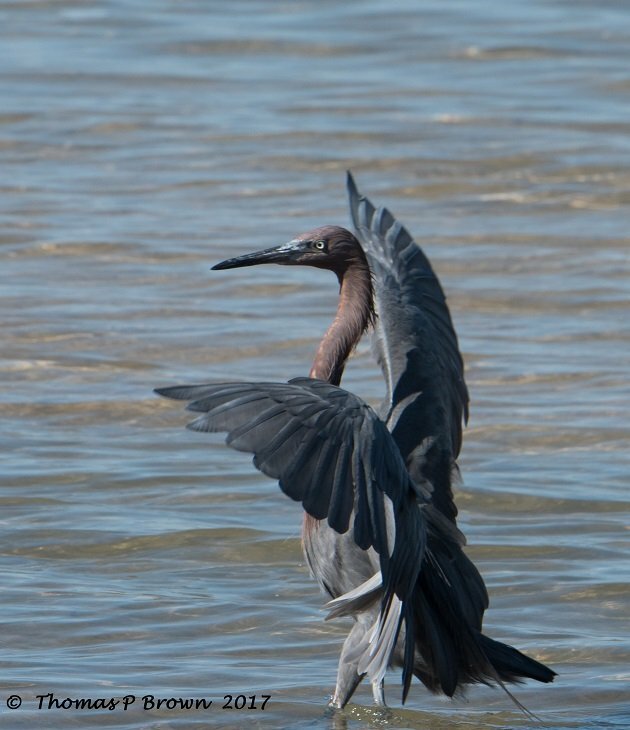 Our local Reddish Egrets are a popular species for many of my out of town guests. Their bright colors, interesting behavior, and easy access, allow for nice consistent viewing. 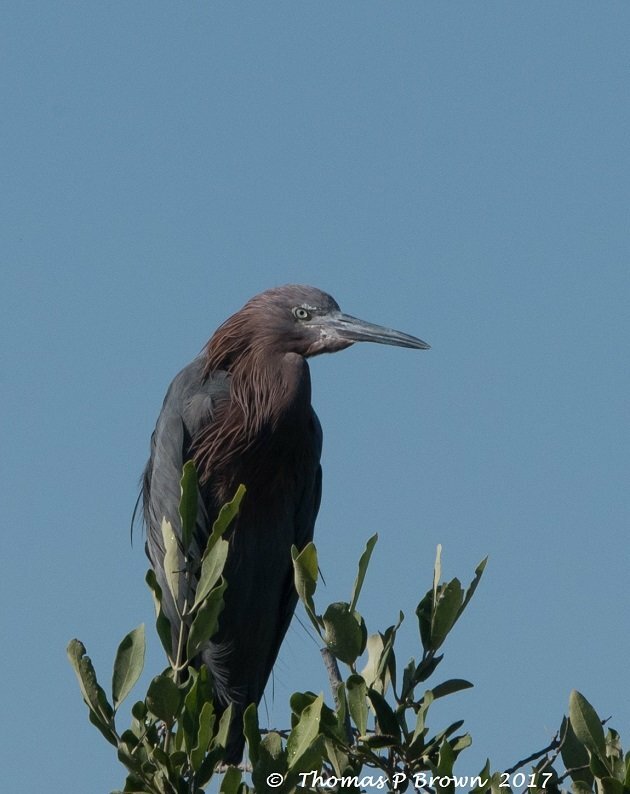 Here in this part of Mexico we have the “Dark Morph”, a bird that has the true reddish head and neck, which the “White Morph” of its eastern family members do not enjoy. I have never encountered the white morph birds here in Mexico, so we have very little problem with identification, that you might find with the all white birds. 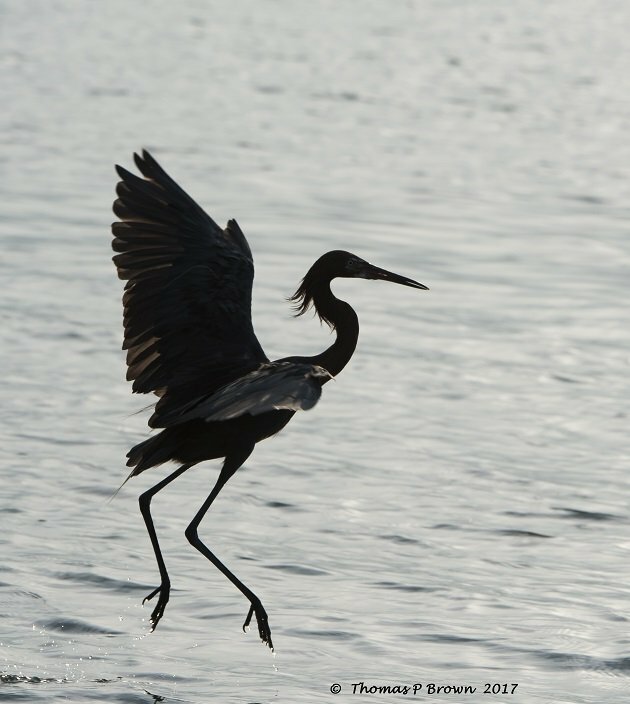 This lovely bird is well know for its animated dancing, and hopping and wide spread wings while foraging in the shallows. Many times I have just sat and watched their crazy antics, and find myself almost giggling. 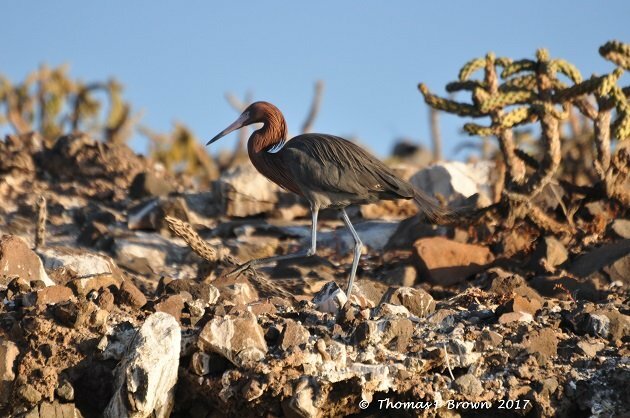 A few of our small, rocky islands serve as nest sites for Reddish Egrets, as well as several other wading birds. 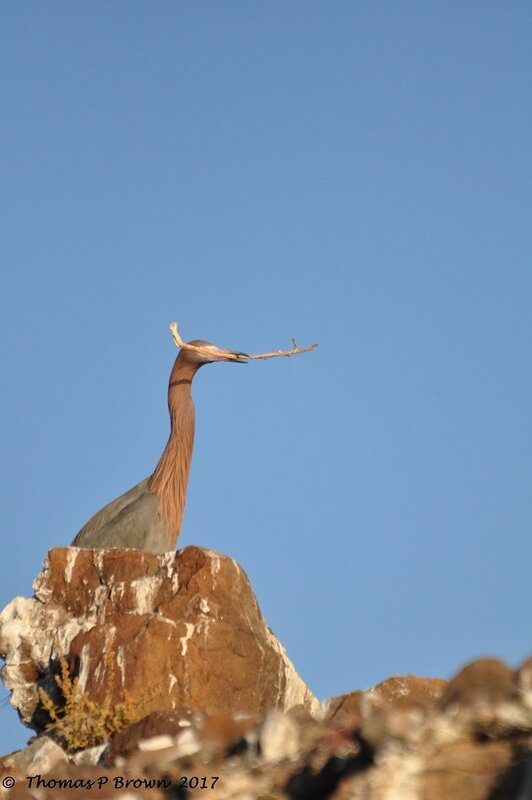 The nests are built from sticks and twigs, right in amongst the various cacti and other thorny, but protective plants. Such a cool bird to have in the neighborhood. 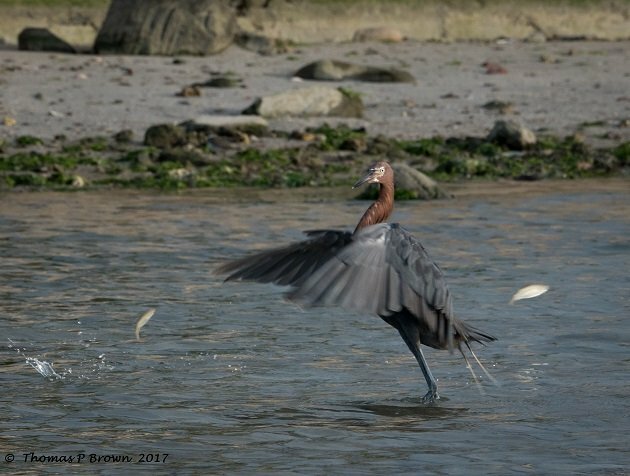 Reddish Egrets, we used to take lawn chairs to the Bolivar Flats to watch them feed. definitely a way to improve your day! Watched one smaller one spear a 6″ or so blue crab. couldn’t figure out how to eat it so flew over to a little sand island about 6′ across that had about 8 medium size Terns sleeping on it. Dropped the crab on the island and the battle started! unhappy crab with pincers up ready to get ANYONE, egret stabbing at crab, terns jumping out of the way of both with the Tern version of extremely unhappy comments! The crab did not escape but the Wife and I had a wonderful 5 min. of zany birds to watch. Packed up and went home, laughing all the way. Thanks Ed, most of my time is spent in “photography Mode” but several times I have missed shots due to just sitting there watching them. They nest amidst thorns and cacti? That’s a good way to keep the paparazzi out!